The senator challenged the billionaire on behalf of basic liberties. And in so doing he showed why Trump is not qualified to be president. Rand Paul got it right. And that lack of caring means that, for anyone who values the basic liberties that underpin the American experiment, Trump is disqualified as a presidential contender. Why? Because Trump cannot, in any seriousness, swear an oath of allegiance to the Constitution of the United States. That is the small measure of illumination produced by the 5th Republican presidential debate. A debate challenge reminds us that Trump’s candidacy is a challenge to the Bill of Rights. But what matters is that Trump was called out where he needed to be called out. 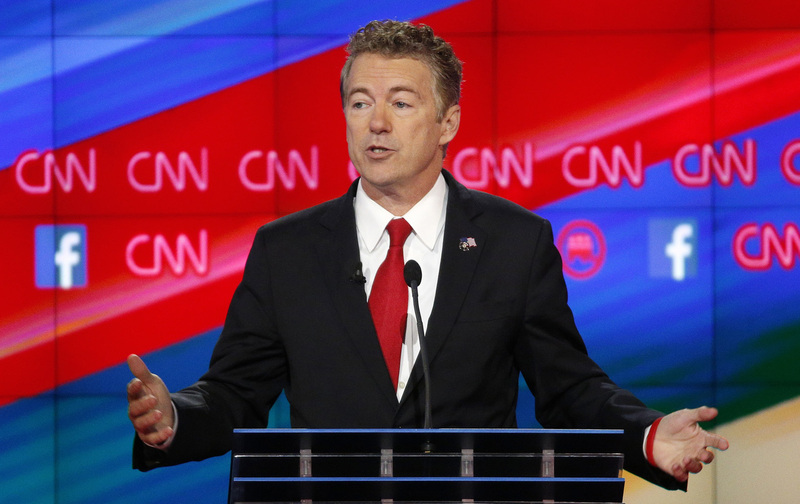 Paul, the senator from Kentucky whose candidacy has never quite gotten off the ground, used his time on the debate stage to focus on the fundamental threat posed by Trump’s disregard for civil liberties. Trump was not pleased. He ripped on Paul, portraying the senator as unrealistically committed to the Constitution. Actually, the booing was one of the few signals of seriousness in a dismal race—as was the applause, scattered as it might have been, for the vital points made by Rand Paul.